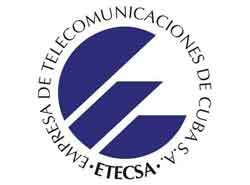 Opportunities in Cuba Telecommunications Market | Cuba Headlines – Cuba News, Breaking News, Articles and Daily Information Despite economic difficulties, Cuba it is clearly a market with a lot of potential; a fact recognised by Latin America’s largest telecoms operator, Spain’s Telefónica. "> Despite economic difficulties, Cuba it is clearly a market with a lot of potential; a fact recognised by Latin America’s largest telecoms operator, Spain’s Telefónica. Cuba remains one of the most interesting markets in the Caribbean given its exceptionally low penetration rate and the lifting of restrictions over mobile handset ownership in April 2008. In the first 10 days of the restrictions being lifted, 7,400 new subscribers were added – almost as many as the company would add in an entire quarter. While growth remains swift, the cost of owning services remains beyond the reach of most ordinary Cubans – with the price of even the most basic handsets more than the average Cuban monthly wage. Nonetheless, it is clearly a market with a lot of potential; a fact recognised by Latin America’s largest telecoms operator, Spain’s Telefónica. The company is rumoured to be interested in acquiring Telecom Italia’s 27% stake in the state-controlled incumbent, Empresa de Telecomunicaciones de Cuba SA (ETECSA). The strong growth of services throughout 2008 – from April onwards – highlights the high demand that exists for mobile services and an operator such as Telefónica that has considerable experience in mobile services, as well as the financial backing to lower the cost of services significantly, could make mobile usage more accessible to a larger variety of subscribers. BMI of course maintains that the market would greatly benefit from additional competition, but there is no indication from the Cuban government that it is considering opening up the market to other firms. Wireless technologies have been incredibly important in expanding the use of telecommunications in the Caribbean, given the relative ease of deployment and the fact that the technologies can be rolled out over several islands. This has led to over half of the markets covered by BMI recording penetration rates of over 100% by the end of 2008. With slower growth now forecasted for many markets, the focus for operators is to encourage subscribers to switch to postpaid tariffs and use value-added services (VAS) – which will see the operators’ revenues increase. Service providers are expanding their 3G networks across the Caribbean, as incoming tourists expect access to high speed mobile networks.